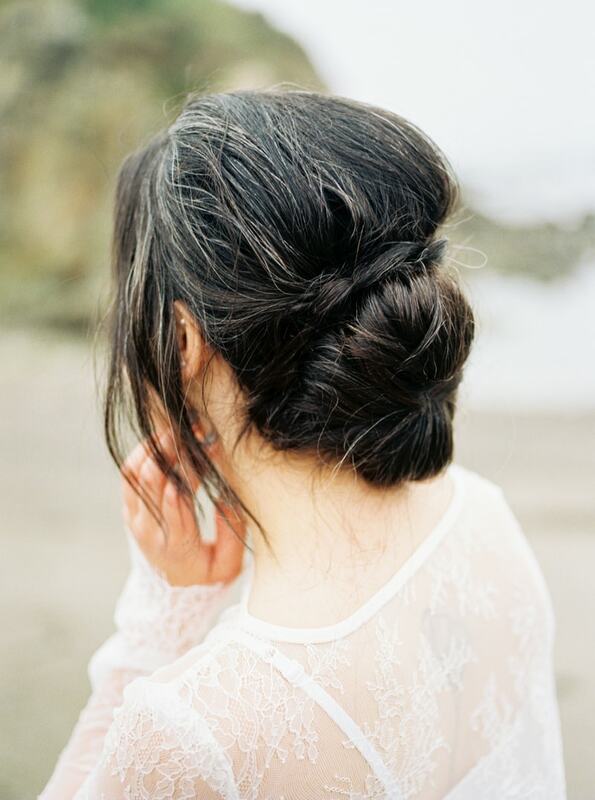 Watercolor Wedding Inspiration. 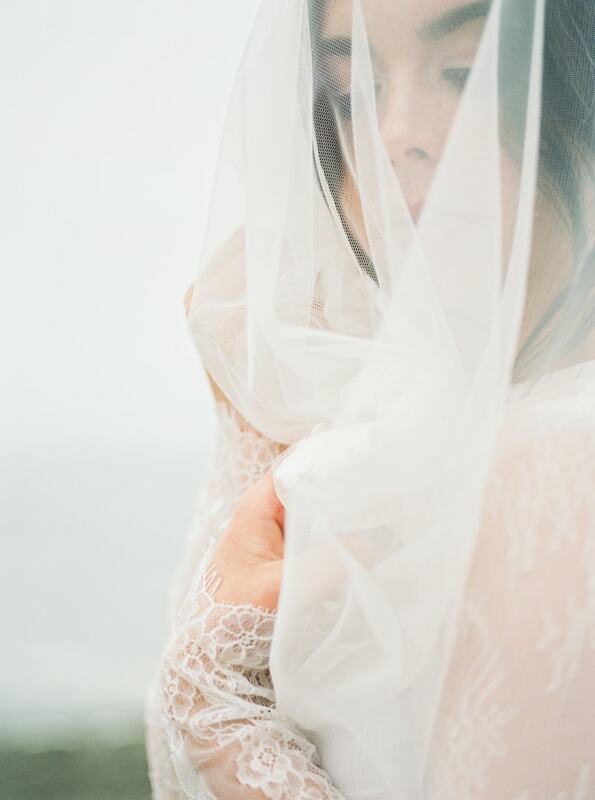 Inspired by the water, this bridal session incorporates color and breathless strokes to create a mesmerizing look. 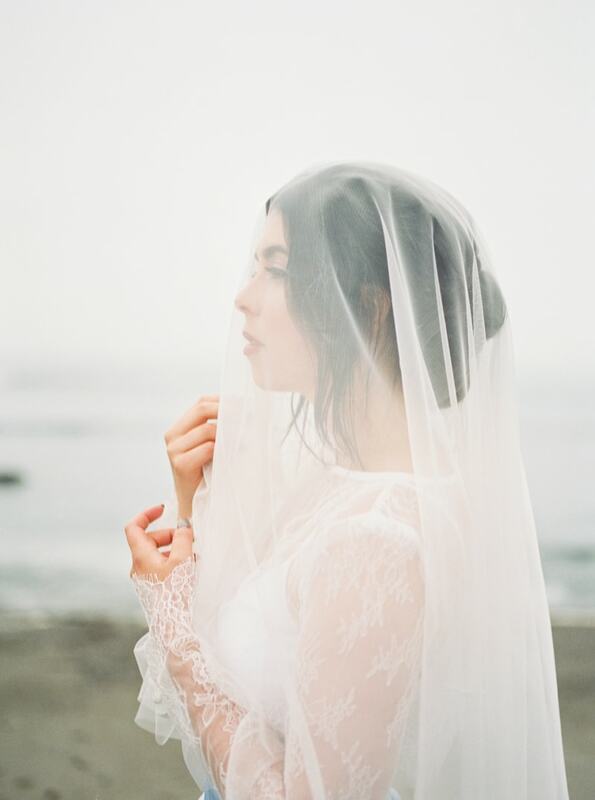 The bride’s gown makes a statement all on its own. 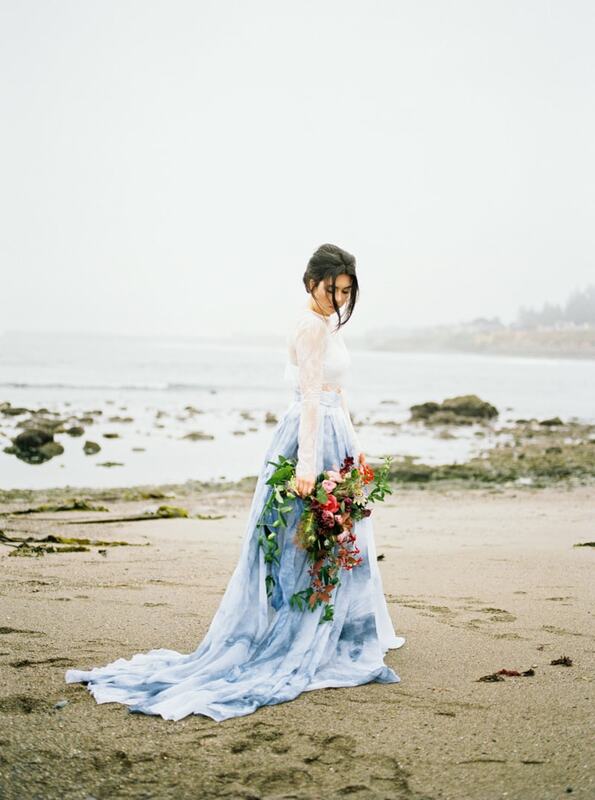 The white illusion neckline and lace bodice is the perfect balance to the graceful blue watercolor skirt. The invitation suite is scripted with watercolor strokes and mimics the blue color of the bride’s gown. 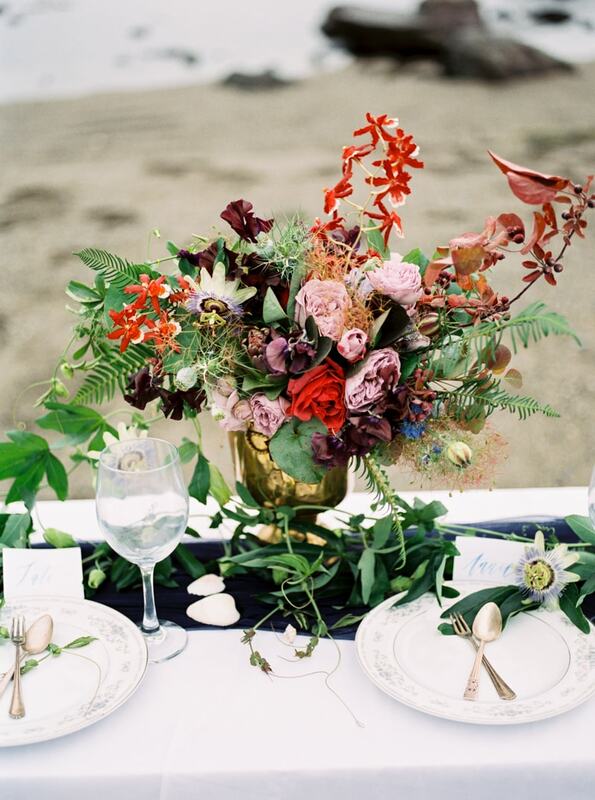 Cohesive pops of bright and dark red come from the florals, which offer a surprising vivid punch against the neutral colors of the coastline. A sweetheart table also features the cool hue with a navy blue runner atop a white linen. Wooden chairs outfitted with watercolor signs for the bride and groom accompany the table. The same can be said for the cake. Its bright blue appearance is accompanied by a navy-blue linen covering the table. 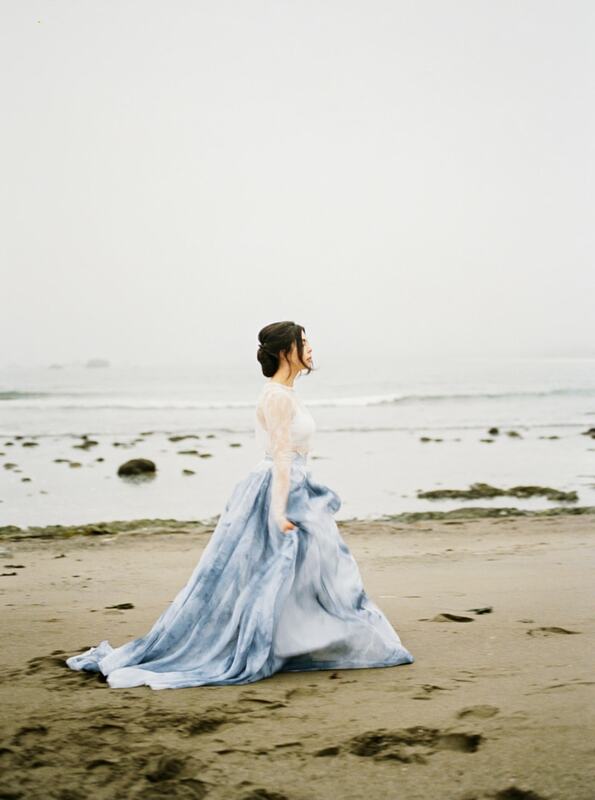 In quiet elegance, this bridal session is capped off with a stunning stroll, the bride mesmerized by the colors and entranced by the serenity of the shore.